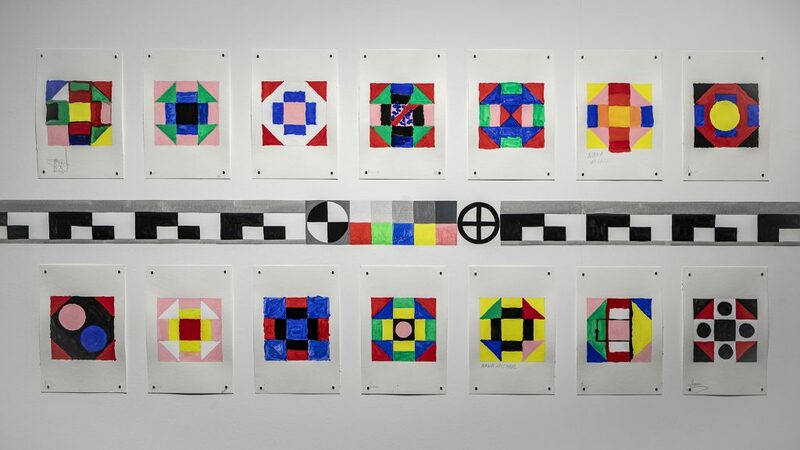 Generated by Navine G. Khan-Dossos in collaboration with the Greek Transgender Support Association in Athens and MIA-H in Hasselt, Silent Latitude is a quilt made by many women in different places, coming together in a communal act of creation.The work began with a series of watercolour designs made in Athens with the GTSA, on the model of the Greek Cross, a common pattern in traditional quilting. The title Silent Latitude is taken from The Mengedichten (Poems in Couplets) by Hadewijch, a 13th Century Flemish Beguine known as a mystic and poet. 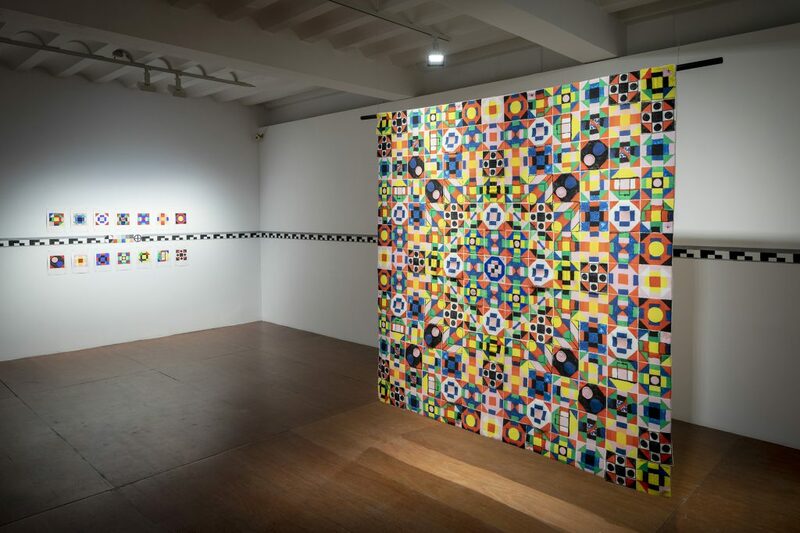 For the artist, the title refers to the divide between the European North and South – the two locations of production for this quilt, and how these very different environments are both places that have a history of and important ongoing place for women’s support groups and communities. 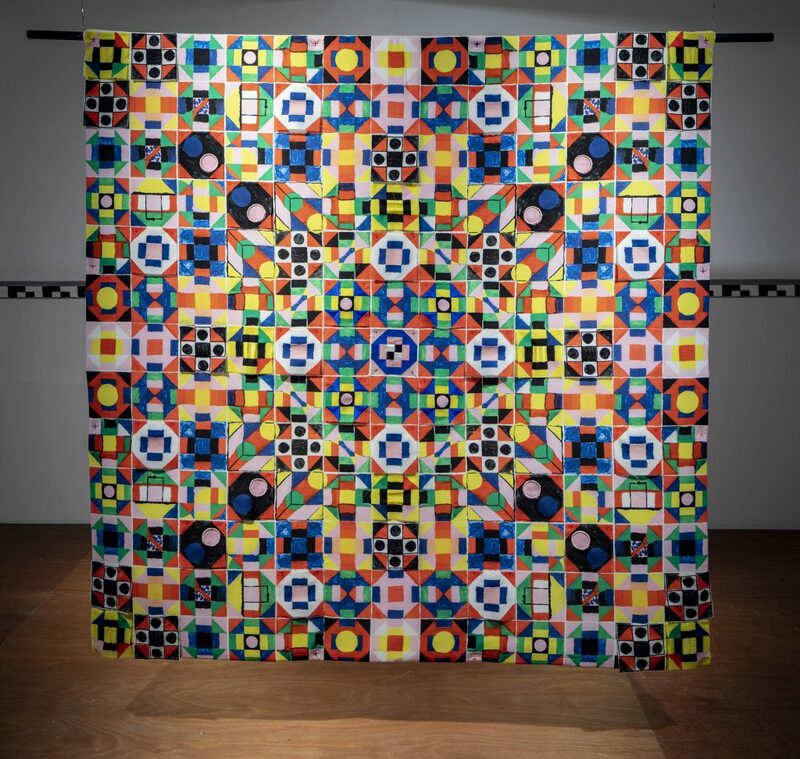 The quilt is co-owned by the artist and the Greek Transgender Support Association, and any eventual sale of the work will be a form of bringing money to the association through their involvement in the creation of this piece, rather than a simple charitable donation. In this way the intention mirrors the way in which the Beguine communities of Northern Europe generated textiles that were for sale to support the Beguinage communities and maintain their independence from the church. 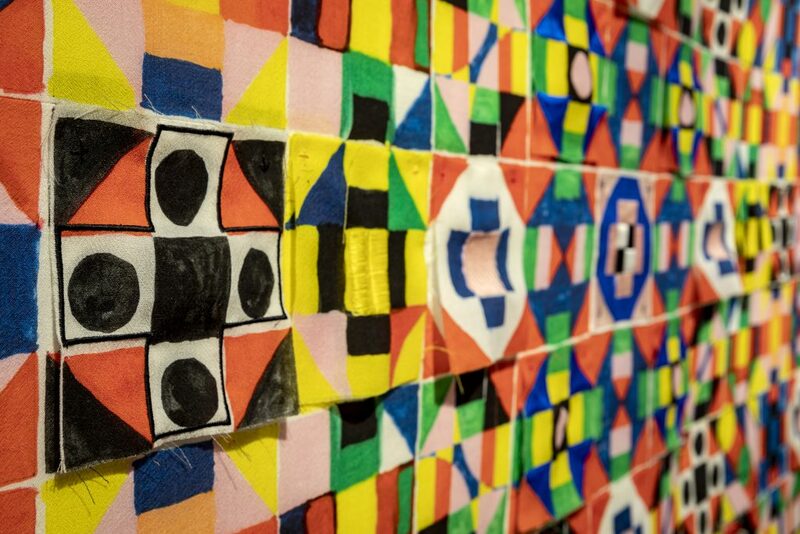 Miriam Vanheusden and MIA-H were also instrumental in the final form of the work, interpreting the initial watercolour designs made in Athens into embroideries to sculpt the surface of the quilt.